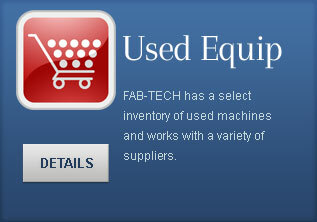 FAB-TECH Machinery - Machinery distributor specializing in high guality lines of new and used machines. Serving the Southwest for over 30 years! These are the very best machine tool builders in the world for CNC punching machines, laser waterjet and plasma-cutterscutting systems, CNC press brakes& shears, plate rolls, hardware presses, finishing and deburring machines, and computer controlled inspection systems. With a long history in the industry, our expertise includes fabricating machines for precision sheet metal, heavy plate, tubing and pipe as well as general fabrication. Our machines are used in the fabrication of steel, stainless steel, aluminum, titanium, copper and brass as well as plastics, wood, gasket materials, granite and other non-metallic’s. In addition to high-technology CNC machinery, systems, and software, we also offer related manual machines and hand tools. At the beginning of my depression I was treated with Ciprlex and Cymbalta 30 mg, switched to Cymbalta 60 mg after 4 weeks. since then I fight with aggressive attacks – especially in connection with alcohol (a glass of wine, beer) that occurs with you? can i hope that after a certain period of getting used to, i will not have to go through these attacks of aggression – especially that my environment no longer has to suffer? can someone give me advice? My depression is pretty good under control. But overall I felt more stable and better with the original cipralex / cymbalta combi from https://fdlist.com/. 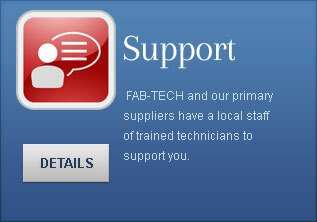 We recognize that even the finest equipment is only the best if it is accompanied by top notch customer support. 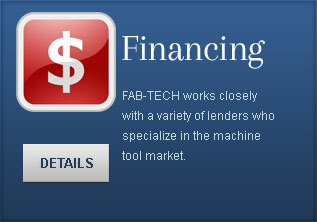 That’s why we offer a full complement of installation, training, technical service, parts and financing. All of our lines are supported locally by the FAB-TECH factory trained and authorized staff as well as several factory technical representatives employed directly by the machinery builders.